It is not every day you come across something like this! This one checks all the boxes. 13.66 Acres. Fallbrook living at its finest. Quality improvements just ready for your plans. Permitted barn (3 car garage) Septic system is already installed for a 3 bedroom house. 2" inch water meter installed plus functional well, that can be operated with the windmill. A lot of attention to detail and well thought out irrigation system.There is a large reservoir, There is a large reservoir, irrometer system, oasis irrigation controller, Nxco phone control for automatic irrigation. Two power poles on the property servicing the property. Manicured grove of approx. 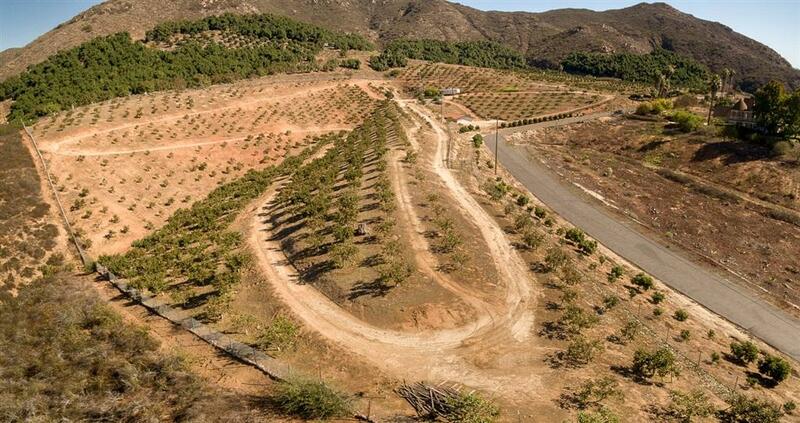 1,400 persimmon trees, 160, kumquat trees that run along the front boundary of the property and 130 Hass avocado trees. 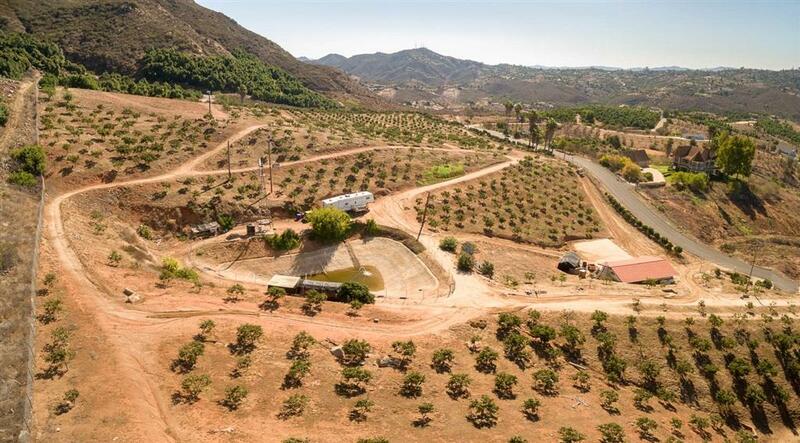 Fully fenced 13 plus acres, commanding panoramic views from building site of Fallbrook and clear to the pacific coast. Several entries to the property. Bring the toys, animals and imagination! Make this picture perfect property yours! Be sure to check out drone video by clicking on virtual tour. Listing provided courtesy of Sunshine Properties Realestate. Listing information © 2019 San Diego MLS, Inc.